* 1. What University or Job Fair did we recruit you from? * 2. I found it easy to apply for open positions within our district? * 3. I was contacted by the HR department in a timely manner. * 4. I understood what steps would be required during the hiring process. * 5. HR staff members were friendly and helpful. * 6. I found the new hire packet easy to complete. * 7. My onboarding session was scheduled in a timely manner. * 8. I found the information presented during the onboarding session valuable. * 9. The information provided in the New Employee Guide was helpful to me as a new employee. * 10. I felt welcomed at Crowley ISD. * 11. 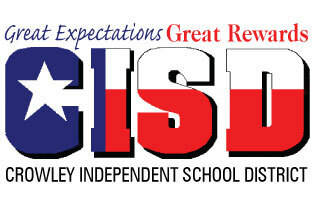 How did you first learn about the job opening at Crowley ISD? * 12. Please comment on any aspect of the hiring process that you feel went particularly well. * 13. Please comment on any aspects of the hiring process that are in need of improvement.